If you are looking for a winter diesel fuel additive for your vehicle or fleet, there is only one product that can deliver the performance and protection for extreme cold weather operation and that is DISTANCE+ WINTER Fuel Additive. 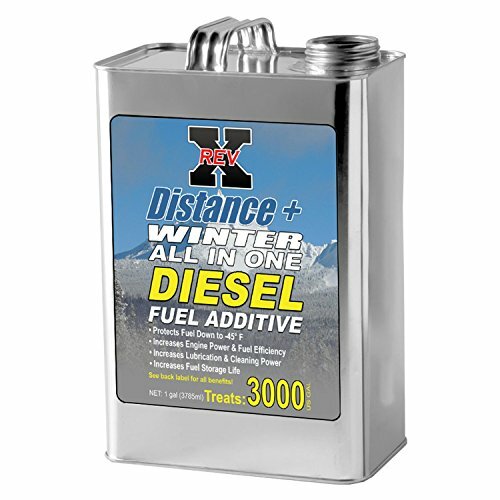 Distance+ Winter Fuel Additive was formulated in some of the coldest regions of the country to provide real world data on what a winter-based fuel additive needs. The test results have allowed us to formulate the highest performing winter fuel additive package that boosts all aspects of today's ULSD Fuel in one easy-to-use product at a very economical price. So, whether you are having cold start issues, fuel gelling problems, poor engine performance, or fuel storage issues, Distance+ Winter Fuel Additive is your cold climate fuel solution. Concentrated! Treats up to 3000 Gallons.